Testimonials - American Porch, LLC. I live in Seattle WA. and was told by the local lumber yard about these folks. I was restoring a 105 year old railing and needed new custom parts, Western Spindle came thru without a hitch. Fantastic job at a fantastic price. Thanks for the great product you supplied. I am just getting around to installing it, but I have no doubts that it will be the crowning touch to the project. Thanks to you and yours for a job well done. Just a quick note: Contractor put the posts up, and every car that goes by slows down or stops to look, even though the front yard is littered with construction stuff and a dumpster. Seems to me more cars go by than usual, it’s a small town, so word must have gotten around- new attraction to see. This is a short note to thank you for the wonderful railing which we installed at our new house. You may remember us from the porch rail order about 15 months ago, just when we were having our baby. We had a lot of trouble with our builder but we replaced them with a new builder who was very good. We’re planning to move in next Saturday. We got the spindle number exactly right, with just one to spare. It looks gorgeous and we’re very happy. So thank you for all that. The delivery took all day — I guess the truck broke down and they had to get another to pick up the parts and make it. But everything came in good condition, and we completed the work earlier today. It looks really nice. Better, I believe, than the original balcony. We were very pleased with the precision of the work — there was no room for error in the measurements. You guys nailed it. Looking forward to spending some time back on the balcony this summer. I am so glad to have found your company. It is always a struggle to find spindles of the size that live theatre requires without paying an arm and leg. Your products are excellent quality, arrive promptly, and you have the variety that I need to fulfill my designer’s dreams. This order was used to put a great finishing touch to our production of Disney’s Beauty and the Beast. I have attached a picture and you can see the spindles on both the West Wing and Belle’s Bedroom units. Thank you and I look forward to ordering from you in the future and I have already recommended you to others in my industry. Thank you Rick. What’s better than being happy AND paid?! Attached are photos of my porch. We all are very pleased with it. More winter weather! Of course you may use any of my photos if you like. Please send me a copy of any that you might use. 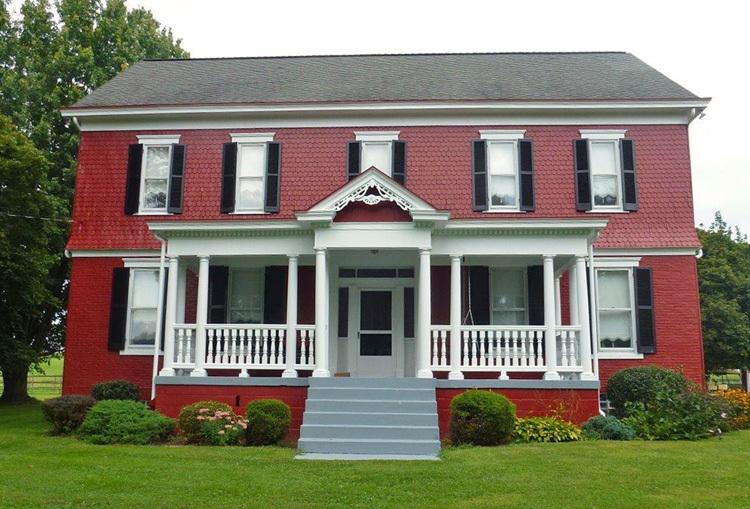 We decided to redo our front porch to reflect the Colonial Revival Style that we wanted our house to be. After much searching I found Western Spindle. 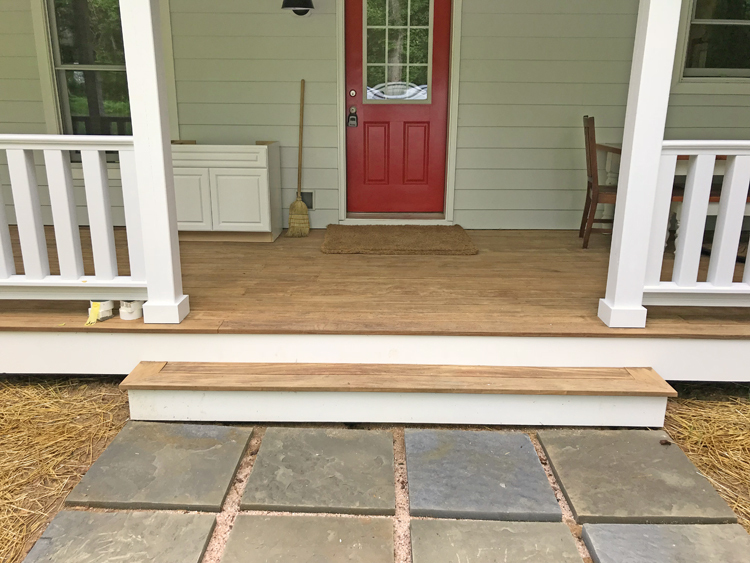 The porch materials are very high quality and the customer service was awesome. Everything shipped and arrived in excellent condition. I would highly recommend them. 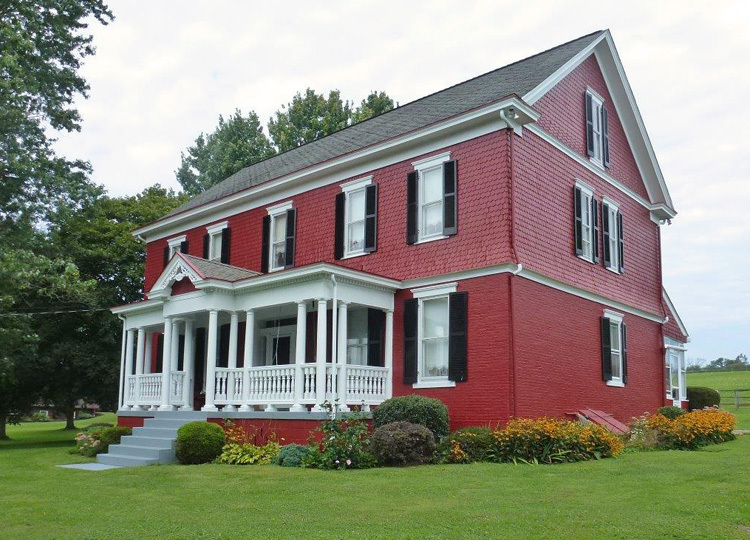 The pictures of the porch include posts that were custom built, but all of the spindles and railing system are from Western Spindle. We finished up the railing at Le Chatteau. The spindles and railings turned out great! Everything fit perfectly. Just wanted to ask if you keep a record of the spindle profile for future use? The Chateau has a second floor with railings around three of the four sides. They may have them changed in the near future. Thanks again for helping us with this project. 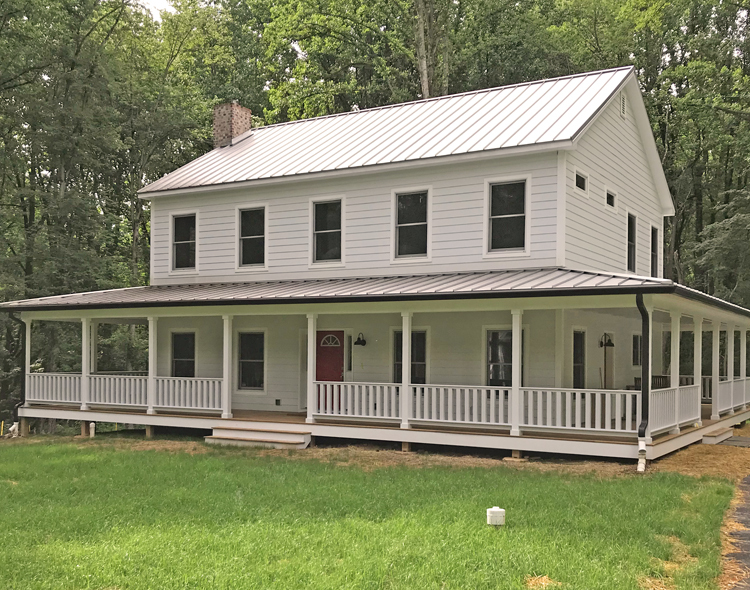 I purchased vintage porch rail kits from Western Spindle in the summer and fall of 2017 as I constructed a wrap around porch on our new farmhouse. My wife and I were very pleased with the rail kits that Western Spindle created for us. We browsed the web pages and then called Western Spindle using the web page contact information. Adam MacDonald answered the phone and was extremely helpful over the course of several purchases as we progressed. The quality of materials, quick delivery and Great customer service are why I recommend this company.